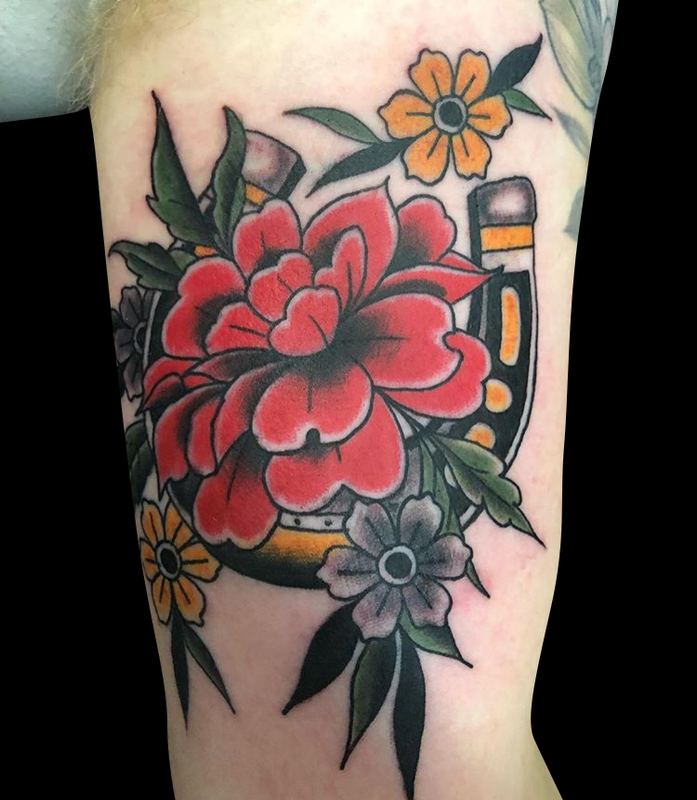 This week Gabe got to do a horseshoe and rose on an arm. 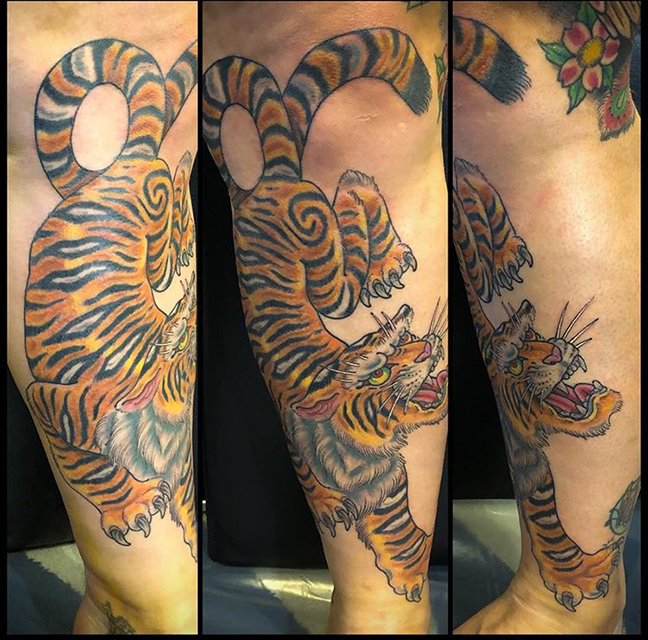 Cody finished a huge tiger on a dude’s leg. 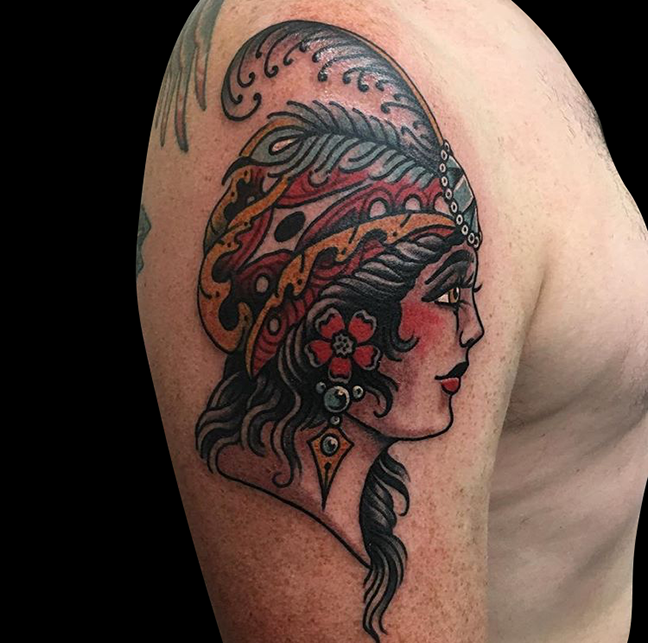 Lars did a rad gypsy girl head. 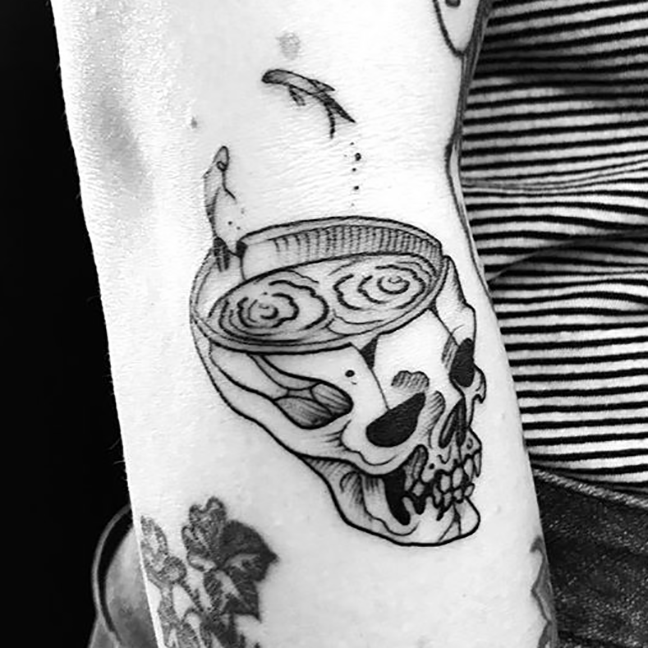 Colin got to do a fish bowl skull. 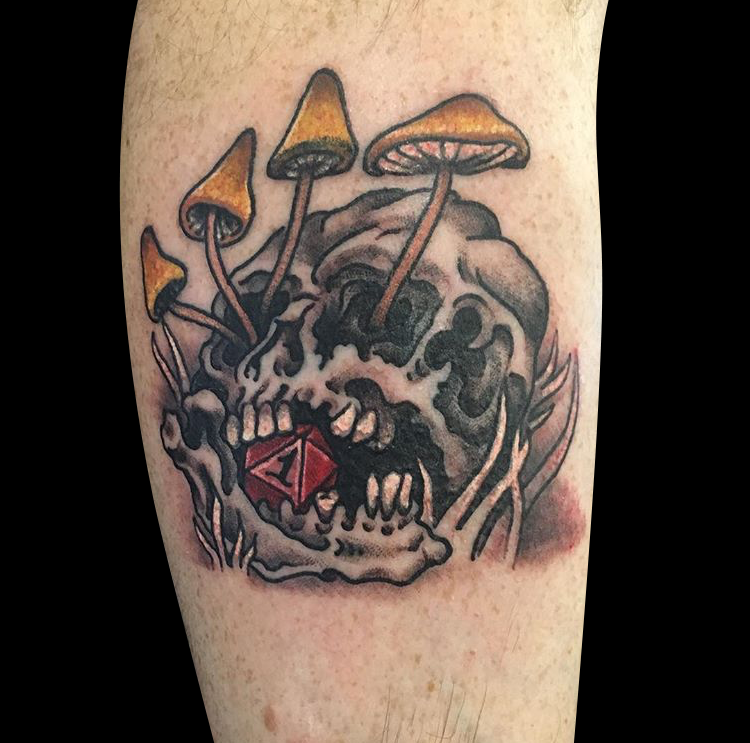 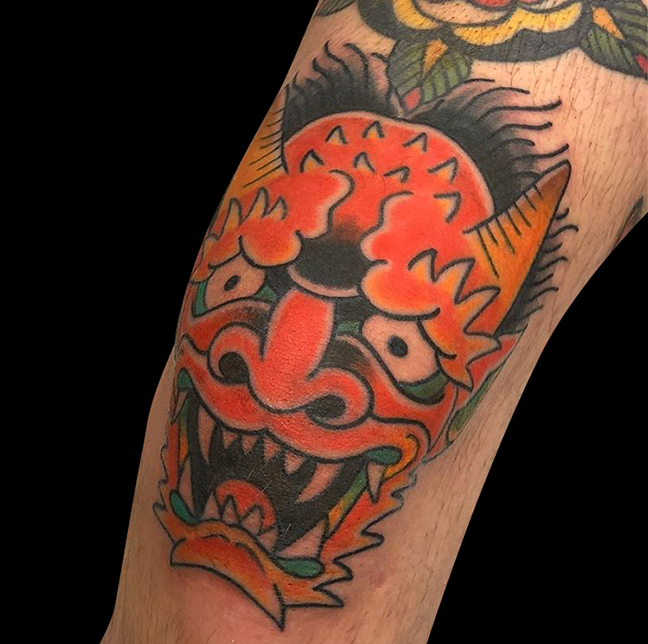 Dan tattooed an Oni on a knee. 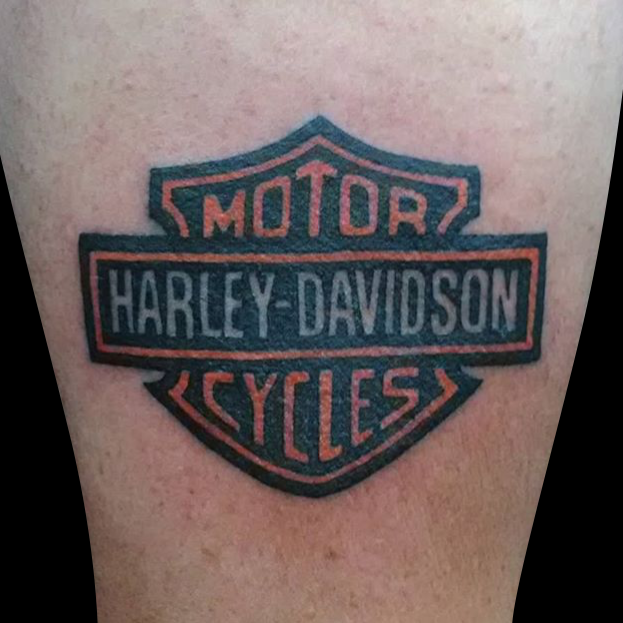 Casey tattooed a Harley shield on a walk-in. 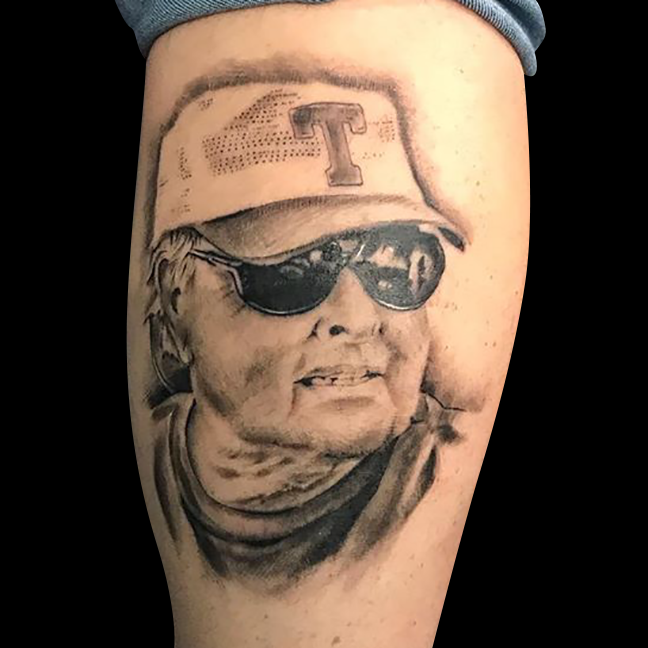 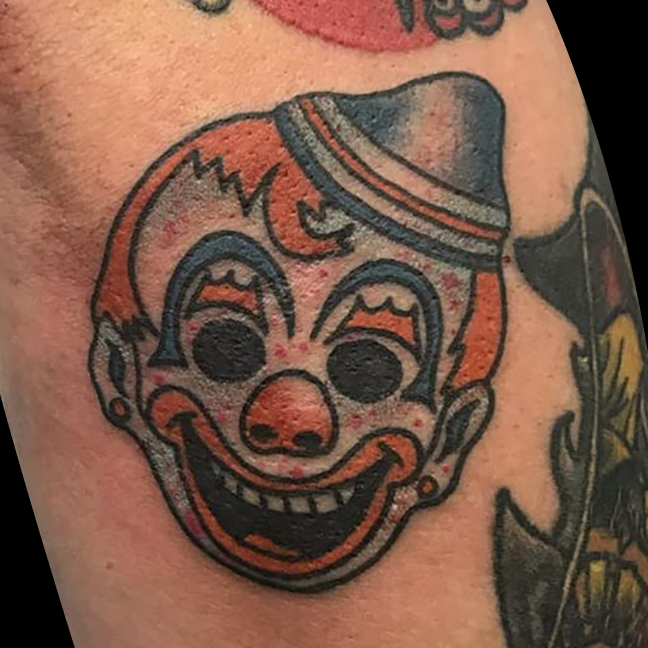 Pablo did a portrait on a guys’s leg. 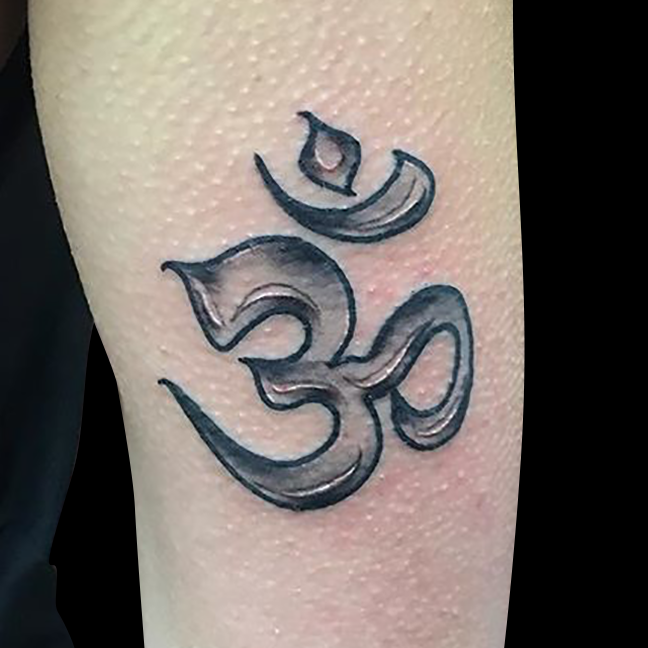 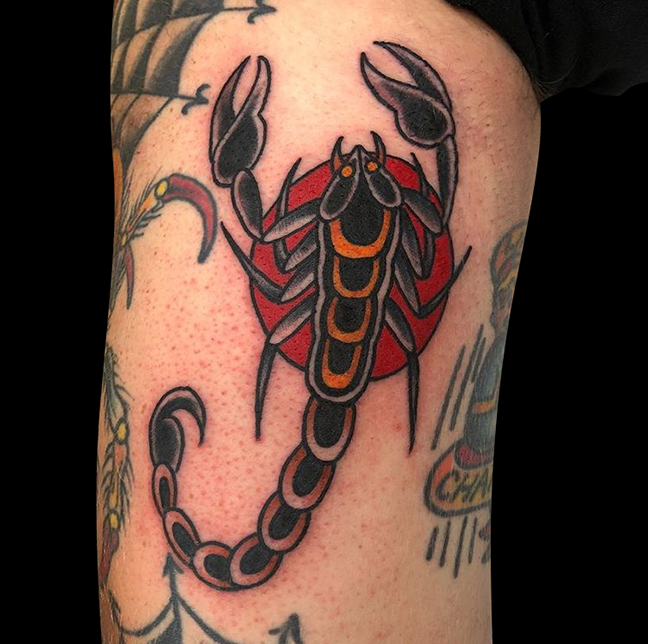 Colin, Cody and Lars spent the weekend tattooing at the St. Louis Classic Tattoo Expo.